The Bench of AK Goel and UU Lalit has also observed that there is need to consider whether there should be a body of full time experts without affecting independence of judiciary, to assist in identifying, scrutinizing and evaluating candidates at pre-appointment stage and to evaluate performance post appointment. The Bench also directed the Government to consider what changes are required in the process of evaluation of candidates at its level so that no wrong candidate is appointed. What steps are required for ensuring righteous conduct of Judges at later stage is also an issue for consideration. The Bench was hearing an appeal where the order of the High Court was challenged mainly on the ground that the appellant had been in custody for more than ten years and the remedy of appeal will be meaningless if he has to remain in custody for the full term of sentence. But the bench has decided to examine the question as to how the problem of delay in hearing of the appeals can be remedied. 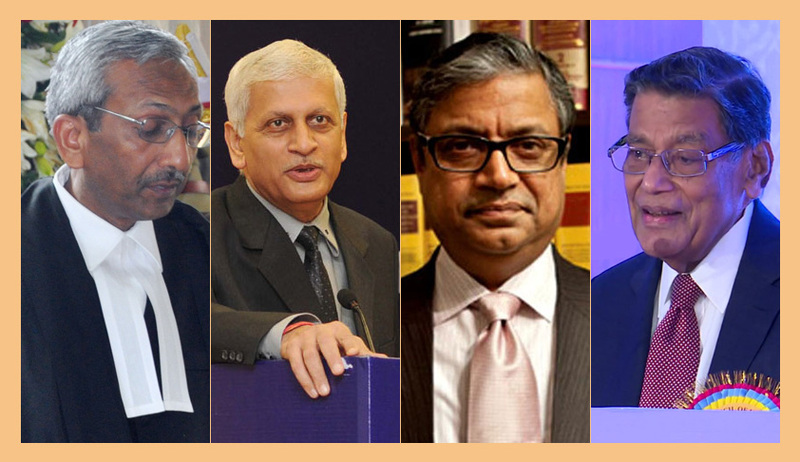 The Bench appointed Senior Advocate Gopal Subramanium as Amicus Curiae. Access to justice is a fundamental right under the Constitution of India. It is also recognized under Article 10 of the Universal Declaration of Human Rights as well as Articles 9 and 14 of the International Convention on Civil and Political Rights. In appeals against acquittal efforts should be made to weed out unmeritorious appeals. Competent Government advocates should be appointed by a fair and transparent mechanism as laid down in State of Punjab versus Brijeshwar Singh. Vacancies of the High Court Judges should be filled up well before the date a judge demits the office. Ad hoc judges should be appointed to deal with the pending appeals. Wherever there is higher pendency of appeals, the same can be transferred to the courts of concurrent jurisdiction of other States. Technology ought to be used to facilitate speedy conduct of trials and disposal of appeals. Electronic copy of all papers should be served as soon as a charge sheet is filed. The technology can be used for speedy and summary disposal of certain cases such as the traffic offences. Evidence can be recorded by video conferencing, especially for Doctors and investigating officers who may be on outstation job and engaged in official duties which suffer if they have to physically come to the court. There must be change in the work culture amongst the members of the bar as well as the police. Efforts should be made to avoid adjournments. Time table should be laid down for hearing of appeals which should be strictly adhered to. Government has adopted a coordinated approach to assist the judiciary for liquidation of arrears and pendency by providing better infrastructure for courts including computerization, increase in strength of judges, policy and legislative measures in the areas prone to excessive litigation and emphasis on human resource development. ECourts Mission Mode Project has been introduced. 6 Computerized courts have been increased to 16,089. Cost of Rs.1,670 crores has been approved for the purpose. Video Conferencing facility has been operationalised in 500 courts and prisons. Natinal Judicial Data Grid has information regarding 6.36 crores decided and 2.5 crores pending cases. 5.24 crores orders/judgments are available. Steps have been taken to fill up vacancies in Supreme Court and High Courts. Appointment of Judges and judicial officers in district and subordinate courts is within the domain of the High Courts and the State Governments. A total of Rs.5956 crores have been released under Centrally Sponsored Scheme (CSS) for Development of Infrastructure facilities for the Judiciary. 17,576 Court Halls and 14,363 Residential Accommodations are available for the Judges/Judicial Officers of District and Subordinate Courts. In addition, 2,852 Court Halls and 1,622 houses are under construction. 14th Finance Commission has endorsed the proposal to strengthen the judicial system by establishing 1800 Fast Track Courts (FTCs) for five years for specified offences at a cost of 4,144 crores. As per resolution of the Joint Conference of Chief Justices and Chief Ministers, the Government has requested the State Governments to strengthen institutional mechanism between the State and the Judiciary. Steps have been 7 taken for timely completion of infrastructure and eCourts Mission Mode project. There is need to implement Section 436A Cr.P.C. and ensure periodic monitoring of under-trial Review Committee Mechanism. In pursuance of resolution of Chief Justices’ Conference held in April, 2015, Arrears Committees have been set up to clear backlog of cases pending from more than five years. The Supreme Court has also constituted Arrears Committee to formulate steps and reduce pendency of cases in High Courts and district courts. National Legal Services Authority provides mechanisms for access to justice for the poor. Lok Adalats have been held resulting in disposal of number of cases on the basis of compromise not requiring adjudication, apart from adjudication in public utility Lok Adalats. The Government has approved scheme for engaging Nyaya Mitras to assist the litigants. Delay in disposal of appeals can be tackled by appointing more judges and by better coordination and planning. By proper scrutiny, application for leave to appeal or even appeals can be summarily disposed of which will reduce the burden of the courts. Whether, having regard to the nature of jurisdiction of the High Court and the present volume of the work, the expectation for speedy disposal of criminal appeals is realistic or there is need for re-engineering of the judicial structure. When speedy justice is directly linked to timely appointment of best talent, whether there is need to revisit the existing system of appointment of judges at all levels. What can be the mechanism to plan and oversee the best management practices, including employment of technology, for optimum performance and righteous conduct. How uncalled for frequent strikes obstructs access to justice and what steps are required to remedy the situation. We are conscious that the above issues are primarily policy matters. The subject matter of restructuring of courts and administration of justice is a matter to be gone into by the executive and the legislature. However, since the subject affects fundamental right of speedy justice, this Court cannot refuse to look into the problem repeatedly presented to it with a view to draw attention of all concerned, leaving to the concerned authorities to consider and act in the matter. Since current disposal itself was less than the institution of fresh cases, there was no likelihood of old cases being decided in a reasonable time. There could not be increase of strength of High Court Judges beyond a limit. The system could not be top heavy. Volume of work in the High Court was likely to further increase on account of increased disposal of cases in subordinate courts with the increased strength of judges, infrastructure and other steps being taken. Disposal of cases in subordinate courts is not enough if the same are thereafter held up in the High Courts. New laws are being enacted providing statutory remedies before the High Courts. Moreover, oversight mechanism for judges of the Constitutional Courts is not the same as for other Judges12. While, there can be no doubt about need for such protection, appointment of large number of such judges can be counter productive. If number of Constitutional Courts is to be increased to match the volume of work being entrusted to such Courts, it may have its implication unless it is possible to find sufficient number of suitable persons. The fact that there are large number of vacancies in such Courts shows the difficulty in identifying adequate number of suitable persons for Constitutional Courts. Needless to say that nature of work before the Constitutional Courts particularly laying down of law is time consuming. Such Courts cannot be overburdened. The Arrears Committee of Supreme Court considered the issue of filling up of vacancies in subordinate courts and the issue of arrears. It was noted that while better monitoring, better management and other steps such as the Central Selection may help speedy disposal in subordinate courts, the working of constitutional courts stands on different footing. There being mismatch in pendency and disposal, the Committee recommended an interaction with the stakeholders to explore the issues of judicial reforms including reengineering of structure of administration of In the said meeting, it was noticed that in most of the High Courts disposal was less than the institution. This called for reengineering of structure of administration of justice. One of the suggestions was that statutory remedies provided before the constitutional courts may be shifted to alternative fora. It was suggested that Courts of Appeals may be set up higher to the District Courts but below the High Court. Such Courts of Appeals could comprise more than one member, partly drawn from the senior district judges and partly recruited directly from the Bar through a Central Selection Mechanism. If above proposal considered, pending appeals before the High Court could be transferred to such Benches whose decisions will be final. An enabling statute could be enacted whereby the State could, in consultation with the High Courts, transfer all or certain categories of appeals or other statutory proceedings from the High Courts to the alternative fora. Constitutional remedies will remain intact. It was explained that this would not be creating one extra forum resulting in longer duration of litigation instead of speedy disposal. The constitutional remedy under Article 227 was different from statutory appeal. Accordingly, we are of the view that the Union of India ought to consider whether it is viable to have criminal appeals and other matters before the High Courts decided within reasonable time as per existing system. If not, whether it is possible to provide any other suitable forum for such appeals so as to ensure enforcement of fundamental right of speedy justice or how else the situation can be remedied. The issue of non-viability of providing routine statutory appeals to Constitutional Courts as observed in Gujarat Urja (supra) may also need to be considered. Relying upon the minutes of the Arrears Committee of this Court dated 8th April, 2017 that a central selection mechanism may be introduced to timely fill up all the vacancies with the best available talent, the Department of Justice, Government of India vide letter dated 28th April, 2017, addressed to the Secretary General of this Court, stated that the idea of Central Selection Mechanism ought to be considered. The said letter was treated by the then Chief Justice of India as Suo Motu Writ (Civil)No. 1 of 2017 (In Re: Central Selection Mechanism for Subordinate Judiciary versus Union of India & Ors) and notices were issued. Learned amicus gave a note on the Central Selection Mechanism which was circulated to all the States and the High Courts vide order dated 28th July, 201724. The matter is, however, still pending. We refrain from expressing any view on the judicial order to be passed. Needless to say that setting up of Central Selection Mechanism will go a long way in having timely appointments of best available talent. Steps in this regard may be taken by the concerned authorities without delay so that timely and quality appointments can be ensured. We may particularly note that if a High Court remains without a permanent Chief Justice, process of speedy justice certainly suffers. In spite of timeline in the MOP for appointments in pursuance of Judgement of this Court in Supreme Court Advocates-on-Record Association and Ors. versus Union of India 31 that there will be no Acting Chief Justice for more than one month32, timely appointments of Chief Justices is not taking place. Appointment of a Chief Justice for few days for a High Court other than the place where the candidate is already working serves no purpose of the system. The Central Government must take all steps to ensure such appointments as per prescribed timeline. Even if it may not be possible to make initial appointments to High Courts till suitable candidates are identified, appointment of Chief Justices may stand on different footing as selection is to be made out of available candidates. To speedily identify such candidates, availability of data and involvement of persons who can spend time may be needed. The process may require thinking, planning and acting on a continuous basis. Primacy with the judiciary is necessary but for the job of such onerous nature, effective assistance is a must. Felt needs of time must be addressed. The system cannot remain static or unconcerned even when problems are patent. As already noted there appears to be dire need to strengthen the system of timely appointment of Judges, particularly Chief Justices. Identification of candidates, scrutiny, evaluation and post appointment performance measurements and conduct are time consuming processes and at least some independent full time experts are required, if timely and best appointments are to be ensured and requisite in-house oversight is to be a reality. A full time body consistent with independence of judiciary appears to be immediate need for the system. Absence thereof contributes to denial of justice. The Central Government must also ensure that MOP in pursuance of order of this Court in NJAC case dated 16th December, 2015 brings about the improvements in working of the collegiums as stipulated. Exclusive: Judges Appointment-A Ping Pong Game?Is Indefinite Sitting Over The Files Choking The Judicial System? Accountability in terms of Performance Measurement and Righteous of Conduct at all levels of judicial hierarchy including Constitutional Courts. There is also a need for mechanism to evaluate and compile performance of the judicial system as per observations in 245th Report of the Law Commission so that there is non-mandatory timeline for decision of cases and accountability consistent with the right of speedy justice. Such mechanism may provide norms for performance measurement for all judges in the hierarchy. The same has to be done without affecting independence of judiciary. There is also need for an in-house mechanism manned by experts but with safeguards consistent with independence of judiciary for measures against erring Judges other than impeachment as observed in Re: Shri Justice CS Karnan Case. Pending legislative measures to check the malady of frequent uncalled for strikes obstructing access to justice, the Ministry of Law and Justice may compile information and present a quarterly report on strikes/abstaining from work, loss caused and action proposed. The matter can thereafter be considered in the contempt or inherent jurisdiction of this Court. The Court may direct having regard to a fact situation, that the office bearers of the Bar Association/Bar Council who passed the resolution for strikes or abstaining from work or took other steps in that direction are liable to be restrained from appearing before any court for a specified period or till they purge themselves of contempt to the satisfaction of the Chief Justice of the concerned High Court based on an appropriate undertaking/conditions. They may also be liable to be removed from the position of office bearers of the Bar Association forthwith until the Chief Justice of the concerned High Court so permits on an appropriate undertaking being filed by them. This may be in addition to any other action that may be taken for the said illegal acts of obstructing access to justice. The matter may also be considered by this Court on receipt of a report from the High Courts in this regard. This does not debar report/petition from any other source even before the end of a quarter, if situation so warrants.